This entry was posted in Ring of Honor and tagged Adam Page, Cheeseburger/Leech Landa, Chris Sabin, Kazarian, Punisher Martinez, Silas Young on March 10, 2017 by TJ Hawke. 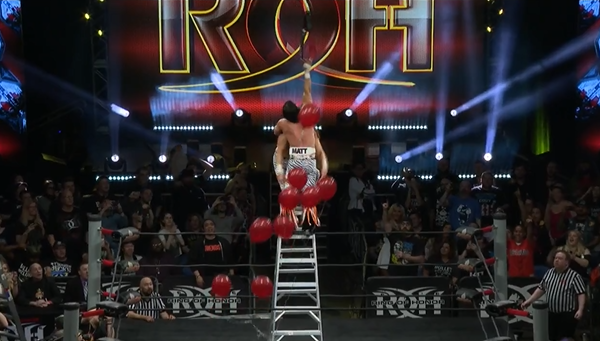 This entry was posted in Ring of Honor and tagged Chris Sabin, Donovan Dijak, Kazarian, Mark Briscoe on July 8, 2016 by TJ Hawke. 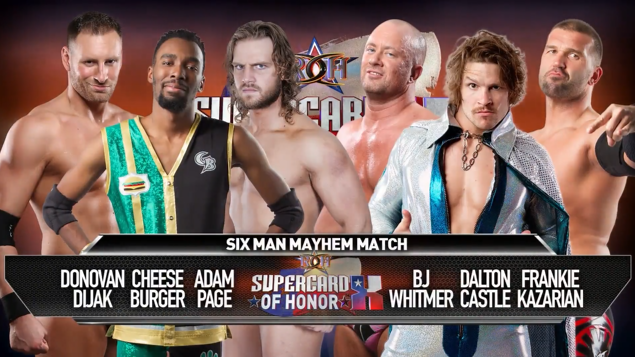 This entry was posted in Ring of Honor and tagged Adam Page, Cheeseburger/Leech Landa, Dalton Castle/Ashley Remington, Donovan Dijak, J Diesel, Kazarian on April 1, 2016 by TJ Hawke.